Participating middle school girls learned to write code to help their robot automatically navigate a maze. Images courtesy of UC Merced. In an effort to better prepare Central Valley students for university-level coursework, a program at the University of California, Merced (UC Merced) is holding on-campus summer workshops for middle and high school students to gain hands-on training in STEM (science, technology, engineering and mathematics). 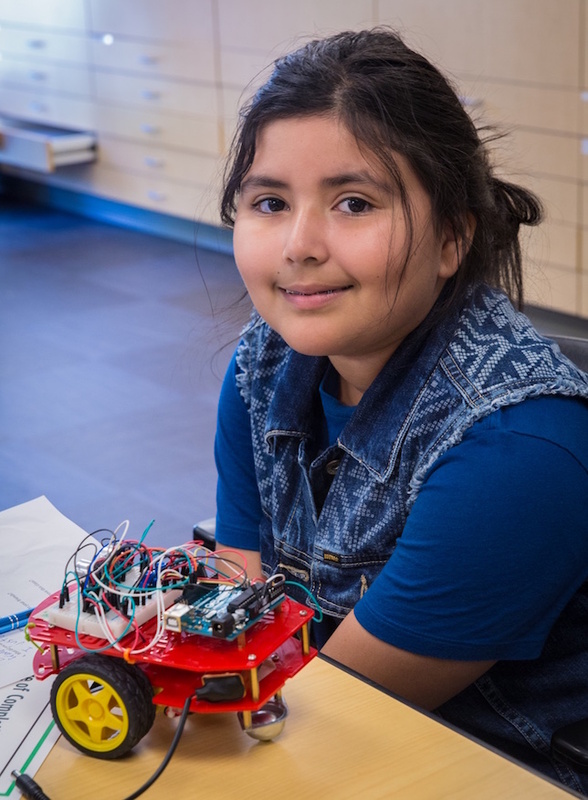 The inaugural Bobcat Summer STEM Academy is led by engineering faculty and graduate students at UC Merced in collaboration with CalTeach, a UC-wide program that trains K–12 math and science teachers. Several sessions are running June 12 through Aug. 4. The summer academy consists of one- and two-week STEM workshops offered at $100 and $200 respectively. Students are taught the fundamentals of 3D design and prototyping, biology, biomedical sciences, computer science and robotics. A student shows off her team's robot created in the Bobcat Summer STEM Academy. Credit: UC Merced. To learn the basics of robotics, for instance, participating middle school students were given the Vilros Ultimate Starter Kit. Using Arduino microboards, student teams programmed robots to navigate through a maze. Meanwhile, students in the currently running high school track are using the Ultimate 2.0 STEM Robot Kit. 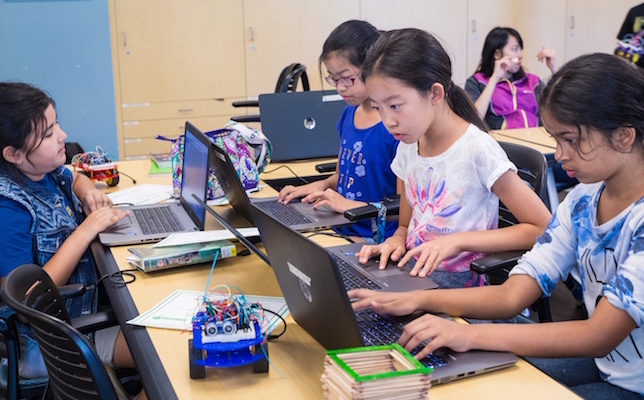 The summer academy’s short-term goal is to generate more high-quality, accessible educational opportunities in STEM for Central Valley students, according to Yanbao Ma, an associate professor in mechanical engineering who helped organize the summer academy. Eventually, Ma and other organizers would like to establish a hands-on learning lab as well as an institute dedicated to preparing Central Valley students for college, who are about half as likely to obtain a bachelor’s degree compared to the national average (16 and 32 percent for adults aged 25 or older respectively). He noted the School of Engineering has shown enormous support for the summer academy thus far, offering students access to its 3D printing lab and additional resources. The lab and institute will serve to build a high-quality pipeline of students who are prepared for college and the future workforce.